Lately, I have been feeling like a detective. Some in my office fondly refer to me as Detective Wyderka, and it had me thinking of some famous detectives. Remember those awesome detective stories you might have checked out at the library? Famous fictions detectives including, Edgar Allen Poe’s C. Auguste Dupin or Sir Arthur Conan Doyle’s Sherlock Holmes, solved great mysteries, leaving us in awe of their deductive reasoning and brilliance. Sourcing for that ideal candidate is like a puzzle. You are given tidbits of information (search criteria) and, as with puzzles, there always seems to be missing information. It may include steps in the project that may need further creative thinking to solve that search or the use of new tools. 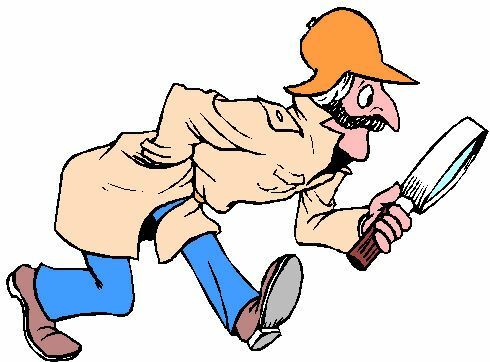 Just like a detective uses tools for interviewing suspects and keeping track of evidence in cases, sourcers need tools to collect data, such as leads for positions that need to be filled. Below are some sites that will assist you in solving the mystery for the perfect candidate. Bibsonomy is a social bookmarking and publication-sharing system. I like to use this site for finding articles written by experts who may be potential leads for my candidate search. I input “fruit fly” into Bibsonomy and when I opened one of the bookmarks, I didn’t find any results, but I did find other potential keywords to help in my search. Clicking on another result led me to an article with potential leads and an extra bonus – a way to search on other sites, such as Google Scholar, Microsoft Academic Search, WorldCat, and BASE; thus leading me to potentially other great leads. DOC-TXT is a document search engine. What I like about this site is that it has an archive calendar where you can back page to previous months (just click on the previous underlined month as an example). Boxwind is another website search engine that provides “one-stop shopping” results for multiple websites. A bonus about this site is that it collects phone numbers, emails and more, for every website. As an example, say you are trying to find a “certified public accountant” (CPA) from “Frisco, Texas” area, who specializes in “accounting” and is a “consultant.” I enter my keywords into the search engine box, and I get many results; one of them is from the McKinney area. The search for that perfect lead is very exhilarating. You never know where your search is going to take you. Putting together “pieces” to search can lead to “instant gratification,” and there is a thrill of working the unknown, driving you to find more cases to solve. I know for me, I love searching and finding “gems” that others cannot find.